We’ve not long heard that it appears that the Polish group that stayed in our holiday home in Cellardyke may have trashed some of the house. Our wonderful neighbours went in today to discover one door has been punched in, and 2″ burn marks on the bedroom carpet. It may be that our imaginations are worse than it actually is, or conversely that there may in fact be more damage that remains undiscovered. I’m feeling kind of gutted. 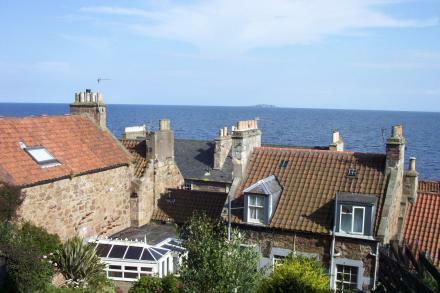 Jane and I are going to go over to Fife once our guest Dave arrives for the weekend. He’s staying here in Edinburgh, thankfully. Will report more later, with photos. 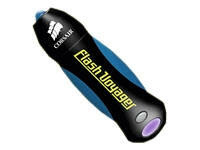 Yesterday I ordered a couple of Corsair Flash Voyager 256MB USB 2.0 flash drives from Savastore; one for me, one for Jane. This morning they arrived at 09:00. Review to follow. The scene from my study window at 09:05 this morning. What a fickle climate we have. Yesterday morning at this time it was snowing. Twelve hours ago I was skating across the pavement outside Jane’s aunt and uncle’s house, legs and arms waving about wildly as I tried to regain my balance. And now we’re back that all-year-round Scottish greyness and gloom. Posted on Saturday 26 November 2005 Monday 25 June 2018 Categories GeneralLeave a comment on What snow? !